With less than a month left before the first Latin American edition of TNW Conference in São Paulo, it is now time to unveil the finalists of our Best of Accelerators Startup Battle. As its name says, our competition was open to top startups that recently participated in an acceleration program. Leading accelerators took part in the process, such as 21212, Aceleradora, Anjos do Brasil, Campinas Startups, DreamIt Ventures, Founder Institute, NXTP Labs, Polo Marte, Start-Up Chile, Startup Farm and Wayra. In addition, we also included three wildcards to make sure we didn’t miss anything. The competition includes four selection rounds; after receiving 114 application forms from all over Latin America, but also from the US and Europe, we shortlisted the best ones and asked them to send a video pitch and participate in an interview. We then selected a first batch of 16 finalists, which we are announcing today. It’s worth noting that the list is not 100% complete yet, as four additional finalist positions will be awarded at the TNW Conference among the startups with a Demo Table in the exhibitor space on August 22 and 23. In total, 20 finalist startups will pitch their products and services on stage, in front of an international tech audience, investors, and press. The Jury of experts will then give feedback and decide on the winners. ResolveAí, from 21212, which helps you find the closest taxi and track it down on a map in real-time while it comes to pick you up. Workana, from NXTP Labs, an online freelance work platform focusing on the Latin American market [see our recent post]. TomoClases, from Start-Up Chile, an online marketplace for offline classes and courses in your local neighborhood in Latin America. Solocontrata.me, which entered the competition on a Wildcard, and focuses on matching companies to public contracts from the government. Papaya, from Start-Up Chile and Wayra, which offers a solution to movie theatres for online and mobile ticket sales, revenue management system and an advertising platform for movie studios and distributors [see our post about Wayra’s impact in Peru]. KidBox, from Start-Up Chile, a parental control app that let parents fully managed their children online activity. Oja.la, which entered the competition on a Wildcard and has now joined Start-Up Chile, a P2P online video education platform where instructors can create videos and students can have access to low-cost classes [see our post]. Pota-Toss, from DreamIt Ventures, the first mobile game with location-based scenery which started as a Kickstarter project. SkinVision, which entered the competition on a Wildcard. 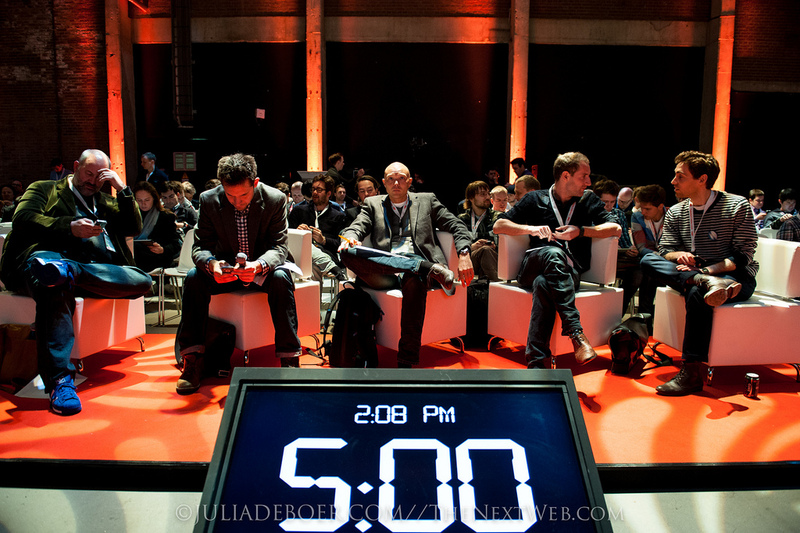 We congratulate all finalists and accelerators, and are looking forward to seeing them on stage at The Next Web Latin America Conference 2012!